The Private Members’ Club for Wine Aficionados. The very first wineBANK set up in the vaulted cellars of the VDP winery Balthasar Ress. 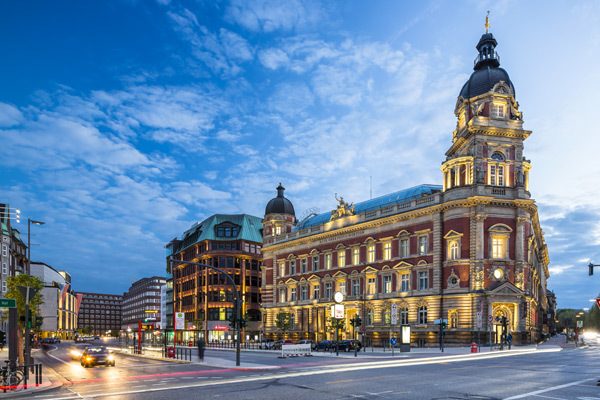 The first metropolitan wineBANK of the world in the heart of the Hanseatic city. The Private Members' Club for wine lovers in the shadow of St. Stephen's Cathedral. “Kölsch” hospitality in the wineBANK Cologne on the Rhine. A city that looks back on a long tradition in the wine trade. Create Your Very Own Wine Tradition in the Heart of the old city of Palma de Mallorca! At our wineBANK locations you can store your valuable wines under perfect conditions and enjoy wine tasting there on the spot with your guests. 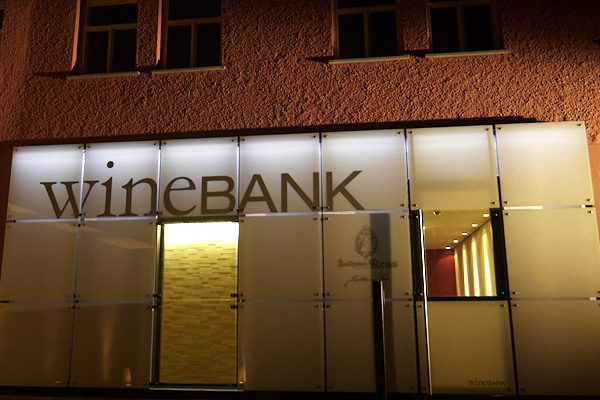 As one of our members, you have access to the growing number of wineBANK locations – usually 24 hours a day, seven days a week. Utmost discretion, a private retreat, pure pleasure – your personal Member’s Card opens the door to your very own world of wine. Carried along on a musical wave of cool rhythms, you will glide into the laid-back atmosphere of your wineBANK. Be a part of our enophile community. Become a wineBANKer! The businessman Christian Ress, known above all as the owner of the Balthasar Ress vineyards, dreamed up this concept and opened the first wineBANK in the region of Rheingau in 2009. Since then further location in Basel, Vienna, Hamburg, Frankfurt, Wachenheim, Mainz and Basel have been developed. Architecture, location and design – it is intended that every wineBANK develops its own individual style and unique signature. The so-called wineBANKers rent one of the compartments in the elegant vaults and can then store their own wines there under perfect climatic conditions. Insurance covering theft, vandalism and fire is included. We are even well armed to combat those troublesome cork moths. Designer furniture, branded wine glasses, a lighting concept that creates a feel-good atmosphere, discreet background music – the wineBANK is far from being just a place to store your liquid treasures. It is much more a classy venue enabling a highly-individualized style of wine tasting, a haven that welcomes wineBANKers and their guests at any time of the day or night. We want you to feel at ease when you are entertaining your guests in the wineBANK. A well-stocked tasting counter with all the appropriate wine and water glasses, wine coolers, decanters and a good supply of mineral water ensure that you can savor everything in style. A wineBANK Member’s Card grants you access to ALL other wineBANK locations. Business people can consequently receive clients and partners in several destinations.